Recorded: Live at Budokan Hall, Tokyo Japan April 25th. 1979. Sound: Soundboard & audience mix. DVD is pro-shot. Comments: From 'Jazz' Japanese tour spring 1979. The CDs contain a soundboard / audience mix while the DVD is a 32 minute pro-shot document and features a Dual Audio Option. Wardour previously issued an audience source from this concert on Dreamer’s Ball (Wardour-006) but this release uses a new audience source, filling in some gaps with the Dreamer’s Ball source. Also sold with a bonus 2cdr, which contains audience recording from the same concert. Roots: Audience recorded tape & pro film from Japanese television. ★ ★ ● Use the AUD New master of the completely first appearance except ●. SEPERATE BONUS CDR enclosed with some copies. Audience rec. This 2cdr is also sold seperate. The most famous “JAZZ JAPAN TOUR” is the most famous “April 25, 1979: Nippon Budokan” performance. A major decision board to update its longest and highest peak is appeared in the permanent preservation press 3 disc set. Although this show became famous after being broadcasted on TV later, this work made full use of its professional shots, sound board, and even two audience recordings, and vacuum packed the day with the maximum and highest peak quality . It is a 3-disc set of “Full live album 2-disc set + professional shot DVD”. We store our 1979 tour with a number of titles, so let’s organize the collection according to the schedule first. [Disc 1-2: full live album by SBD + first appearance AUD] Above, all 15 performances. It was the biggest tour of their visits to Japan, but the Nippon Budokan in this work was the eighth show in the middle. This show is famous for professional shots broadcasted in Japan. However, what was broadcasted was about 32 minutes for 11 songs, which was far from a full show. This work complements the unbroadcast part with a masterpiece audience recording while making the most of the sound board sound. It is a full live album that conveys the complete form of the show. What’s more, the soundboards used are not just the audience recordings used for completion. The audience recording is shocking above all. In fact, it is a new recording that will be the world’s first appearance! What’s more, the same recorder as the 1985 treasure “AT LAST BUDOKAN (Wardour-007S)” was recorded, and it was an excellent item that was awakened from the original cassette. Speaking of the highest peak recording of this day, it became “DREAMER’S BALL” which gained popularity in our shop, but this master goes further. Although it is a real sound that also absorbed the enthusiasm of the peak period, the performance sound and singing voice that tear up the heat is clear and clear. Although I do not go to a sense of closeness, I jump straight into the hand without being disturbed by the yellow hoarse voice, and I can understand the subtlety clearly. And the sound board is not normal. Basically, it is a sound board sound source for TV broadcasting, but I used it carefully from several top masters. Of course, the height of the quality is at its peak, but the emphasis on that is the affinity with the new excavation audience. Use a recording that minimizes the discomfort of matching. Furthermore, I am carefully polished and connected by mastering. An outstanding audience recording that I never thought was present, and a sound board with a close balance. To be honest, I was forced to combine it with the soundboard in the “DREAMER’S BALL” master, but the complete live album was realized by the appearance of two masters. Of course, since it is cassette recording at the time, the cut by a tape change is fate. Most of them could be held with the soundboard, but some cheering parts (after the closing performance of Let Me Entertain You, Somebody To Love, Don’t Stop Me Now) were missing, so that part is DREAMER’S Completed with BALL’s master. Three types of “Broadcast Soundboard + Introductory Audience + DREAMER’S BALL”, the show is recorded completely seamlessly without missing a second from “We Will Rock You” tape to tell the opening to “God Save The Queen” is. It is wonderful to have a full experience of the show with a series of high-end sounds, but there are also a few interesting ways to enjoy and some unexpected discoveries. For example, “Let Me Entertain You”. I listened to the TV pro shot and the audience recording without hesitation, but when I try to synchronize correctly, the TV pro shot in the second half “1: 48-2: 44” is a big cut. Suddenly it was connected to the ending. Similarly, the drum solo of “Keep Yourself Alive” is edited briefly, and more interesting is “We Will Rock You.” Brian’s guitar comes in at the end of the session, but I play a guitar solo with a half tone high. This isn’t Lodi’s (it’s probably) because it’s the next song “We Are The Champions” and it’s Brian’s mistake. The broadcast cuts most of the out-of-order solos, but I’m editing by matching the book ends by entering and ending well. Exciting mistakes and highly sophisticated editing will be revealed by the combination of the sound board and the audience. [Disc 3: the highest peak version of large standard pro shot] In addition to such a full live album, this work is also bundled and pressed with the highest edition of a large standard pro shot. Of course, this video is a compilation of “The Live QUEEN Live at Budokan PART I & II,” which was broadcast twice in the early 80’s, about 15 minutes each, in a late-night frame of a civilian station. It is a large standard among the large standard that has produced countless existing releases, but this work is the highest peak version that appeared from Masterport label in 2002, and is a version that was loved as the press DVD “BUDOKAN 1979” afterwards. It is an original master with nothing more than today. It is an image that has been loved by many fans, but it is also an illusion. After all, this video was only broadcast once in the early 80’s. 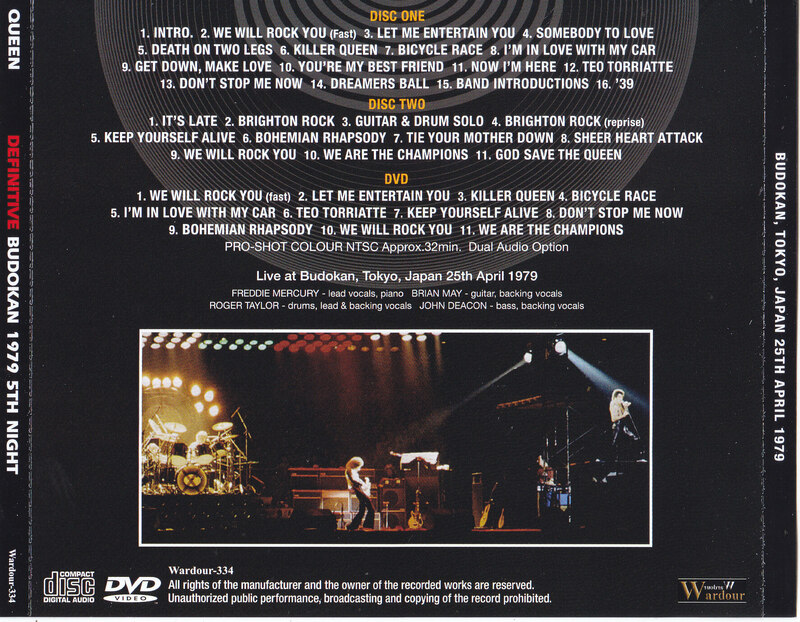 It was good until I recorded the Budokan live in a professional shot, but Freddie Mercury, who was not satisfied with the show’s performance, put out NG for the public. Normally, it would be buried in the dark of history as it was, but a few years later, a Japanese broadcaster shrewd at midnight. However, since it is an NG image, it is not an official archive or rebroadcasting. To the present, it is “the first broadcast only once”. And that broadcast was in the early 80’s. Even though home videos have gradually become popular, few people are able to record late-night programs so easily. As it was such an age, there are only a few recordings left. It is a picture that manias have stared to make it bit one gene one by one. The end of such history was put in 2002. This work appeared from the Masterport label, without any dubbing, was a direct digitization of the original master itself recorded at the time of the broadcast. Moreover, the equipment used for the recording was also a professional use impossible in ordinary homes. Even when there were few people who could record themselves, it was a truly professional record. The quality of this work is to prove such circumstances. As a matter of fact, it will be “air check of the 80’s”, but it is not the image quality and sound quality that are highly associated with the words. In addition to the current broadcast, the image beauty so detailed that it can be used for official works is as vivid and beautiful as if it were reprinted from a laser disc. Roger Taylor’s blonde, Freddie’s red costume lame, spotlight’s glow … And, after all, the coolness of sunglasses and black leather! Every particle from the beginning to the telop of “The Live QUEEN Live at Budokan” which celebrates the opening of the opening is one by one. Furthermore, the sound and two kinds of superb soundboards are also included, covering all the vertex records of the day. It is a super masterpiece pro shot that has nothing to do with it. 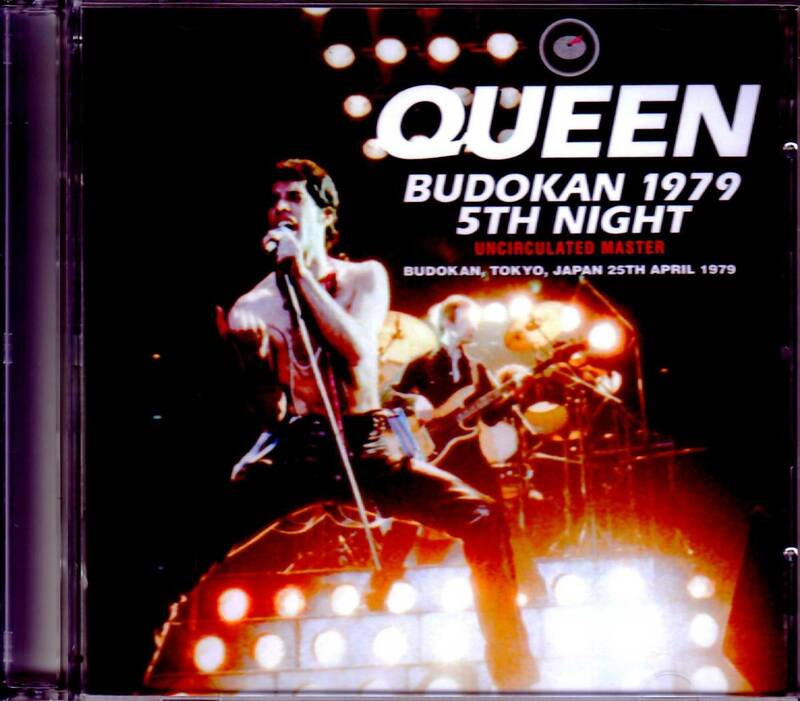 There used to be a press title “BUDOKAN 1979” with a professional shot DVD and a sound board CD, but this work is the CD version that has been expanded to full scale with the first appearance audience recording. It is a big decision board that the super masterpiece which had been sold out has been scaled up. In addition, if you change the viewpoint, this work can be said to be the last one of the Japanese trilogy. Its sisters are “DEFINITIVE SEIBU STADIUM 1982 (Wardour-330)” and “DEFINITIVE FINAL CONCERT IN TOKYO (Wardour-324)”. 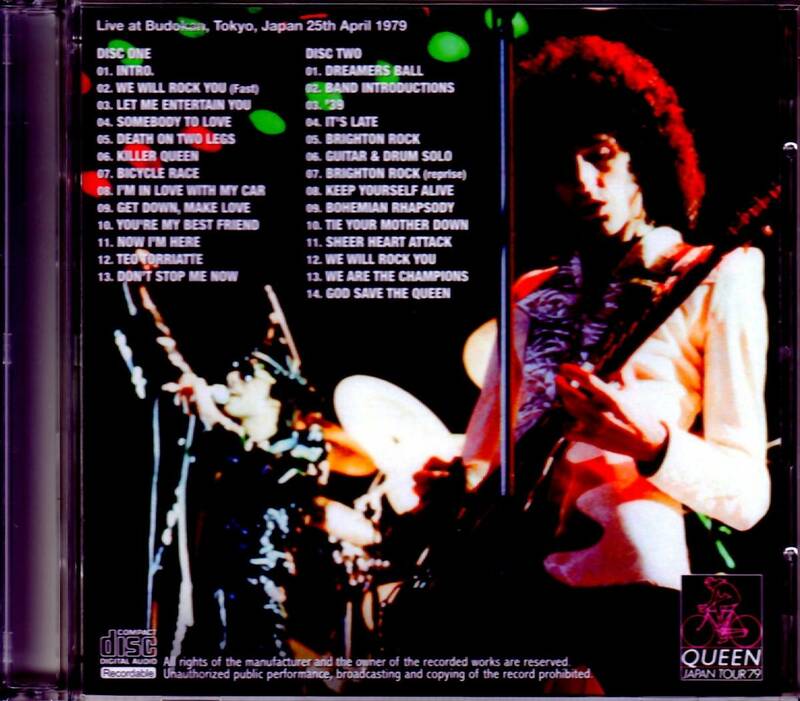 The live album, which complements the Japanese performance sound board with the best audience recording, was very popular. This work is its 1979 edition. It is the last one of the three remaining “Japan Soundboard Completed Trilogy”. 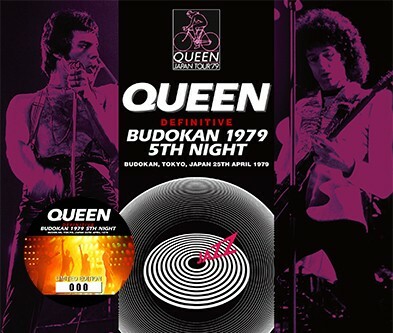 If you are having trouble getting the masterpiece “BUDOKAN 1979” out of print, or if you’re a mania who doesn’t have eyes on the newly discovered audience, you’ll have to buy a 3 CD Please enjoy it with perpetual preservation press 2CD + DVD.